We have included this film in our program to illustrate the work and contributions of our star Olive Thomas. We offer to the silent film lovers of the world the privilege to watch two other surviving films with Olive Thomas: "Love's Prisoner" (1919) and "Out Yonder" (1919). Both films are part of our Silent Gems Collection and the DVDs are available on Ebay. Click on the red link under BREAKING NEWS above to see the collection. "The Flapper" is an entertaining comedy featuring Olive Thomas, who was surely becoming one of the brightest stars in the cinematic sky, only to die prematurely a few months later. After this film the word "flapper" became synonymous with a young woman trying to break the conventional rules. Olive Thomas is a bored schoolgirl in a quiet Florida little town, who dreams about thrills and adventures. Where she lives even having a soft drink with a boy is considered unacceptable, and she constantly gets in trouble for her innocent escapades. To show her the right way her father transfers her to a boarding school in New York, but this can't stop her from trying to break the rules. 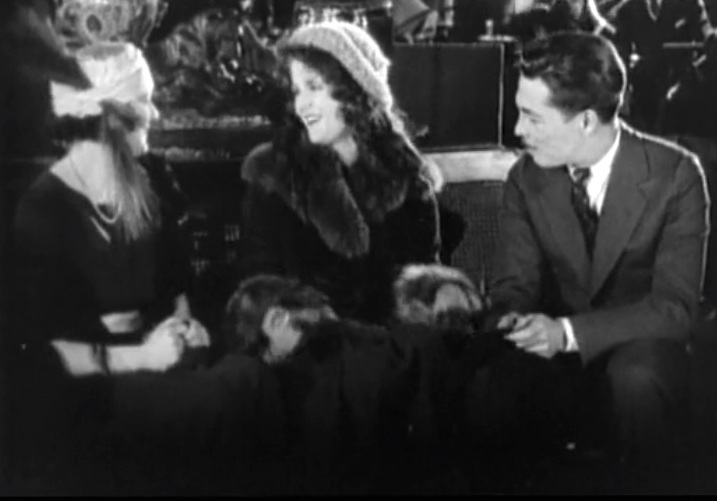 Olive Thomas goes to a dance party with an older man, lying about her real age. The headmistress gets a tip and is quick to react and discipline the girl, but in her absence a robbery occurs in the boarding house and one of the girls disappears. When Olive Thomas is about to leave for Florida on vacation she receives a mysterious telegram to stop by a New York hotel. There she meets the girl who stole the jewels and her accomplice. They force her to take the loot with her and hide it until their return. Alone with the fancy clothes and jewelry Olive Thomas hatches up a plan to make a practical joke by pretending that she is a grown-up woman with a mysterious double life. The scheme backfires and she decides to return the loot to the police, which, however, come to believe that she committed the robbery. All ends well and she is back to sipping soft drinks with her school admirer. Olive Thomas is a bored schoolgirl in "The Flapper" (1920). Olive Thomas disciplines her younger siblings in "The Flapper" (1920). 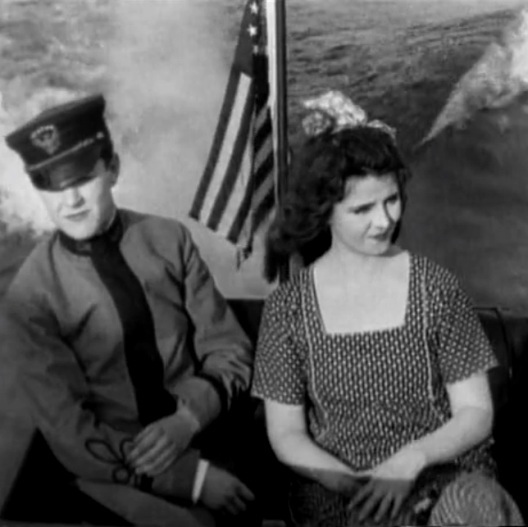 Olive Thomas enjoys a boat ride with her school admirer Theodore Westman Jr. in "The Flapper" (1920). Olive Thomas is about to be admitted to the boarding school in "The Flapper" (1920). Olive Thomas looks at the other girls in the boarding school in "The Flapper" (1920). Olive Thomas comforts Theodore Westman Jr., who plays injured to steal a caress in "The Flapper" (1920). Olive Thomas looks at an older man, whom all girls admire in "The Flapper" (1920). 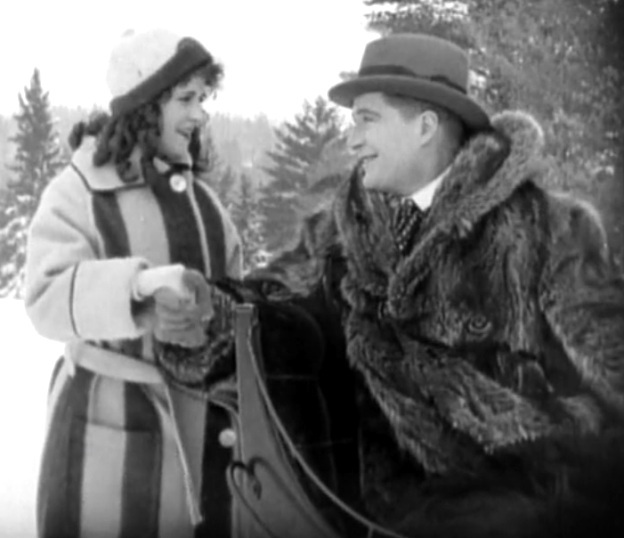 Olive Thomas thanks William Carlton for the sleigh ride in "The Flapper" (1920). Olive Thomas faints after receiving flowers from William Carlton in "The Flapper" (1920). Olive Thomas and William Carlton are surprised by her headmistress at the dance party in "The Flapper" (1920). Olive Thomas is ordered back to the boarding house in "The Flapper" (1920). 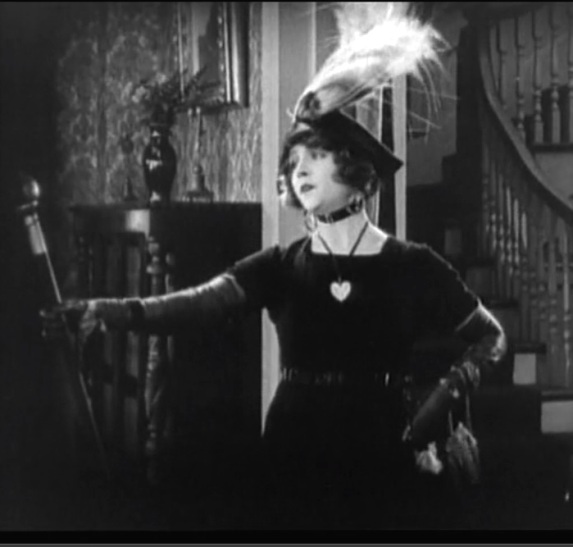 Olive Thomas is shocked to hear William Carlton refer to her as "a sap-headed, pin-feathered kid" in "The Flapper" (1920). The two criminals that robbed the boarding house, Katherine Johnston and Arthur Housman, have a chat in "The Flapper" (1920). Olive Thomas receives a mysterious telegram in "The Flapper" (1920). Olive Thomas meets Katherine Johnston and Arthur Housman in "The Flapper" (1920). 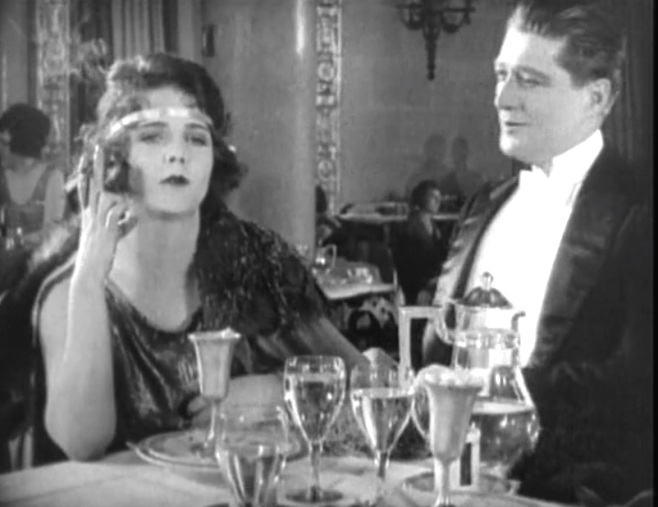 Olive Thomas smokes a cigarette to appear mature in "The Flapper" (1920). Olive Thomas takes revenge on William Carlton in "The Flapper" (1920). Olive Thomas pretends to be mature to William Carlton in "The Flapper" (1920). Olive Thomas chokes after inhaling cigarette smoke in "The Flapper" (1920). Olive Thomas is forced by Katherine Johnston and Arthur Housman to take the stolen jewels with her in "The Flapper" (1920). Olive Thomas is amazed at all the jewels in "The Flapper" (1920). Olive Thomas hatches a plan to use the jewels in "The Flapper" (1920). Olive Thomas also finds love letters in "The Flapper" (1920). Olive Thomas has a lot of fun with the stolen jewels in "The Flapper" (1920). Olive Thomas sports the look that will shock the world in "The Flapper" (1920). Olive Thomas makes everybody recoil in horror in "The Flapper" (1920). Olive Thomas does some great acting in her home in "The Flapper" (1920). Olive Thomas gets full revenge on William Carlton in "The Flapper" (1920). Olive Thomas destroys William Carlton in "The Flapper" (1920). Olive Thomas tells her father Warren Cook it was all a joke, but he doesn't believe it in "The Flapper" (1920). Olive Thomas is confronted by police in "The Flapper" (1920). 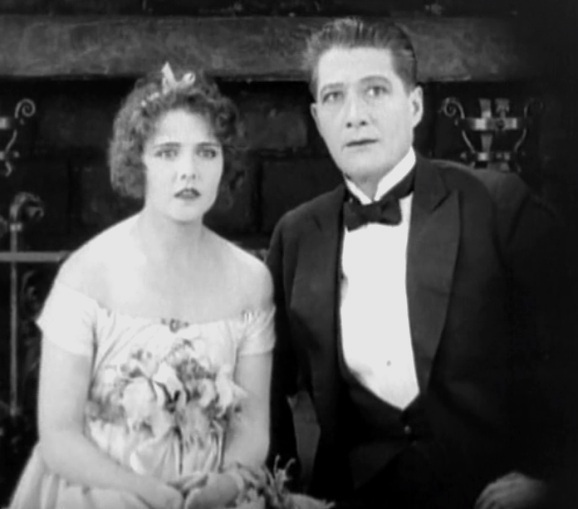 Katherine Johnston and Arthur Housman walk right in - in "The Flapper" (1920). 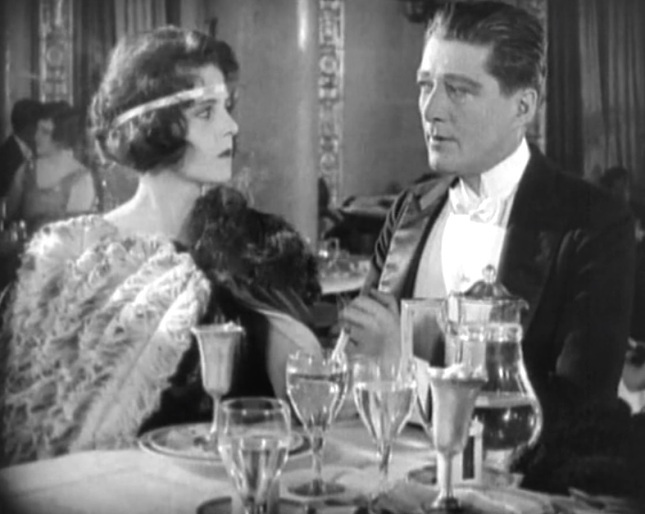 Olive Thomas reconciles with Theodore Westman Jr. in "The Flapper" (1920).